This dynamic website is jam packed with all you need to know about Club 717 and why we have been and remain the Hottest LGBTQ+ Night Club in Durham Region for the past 32 years. Club 717 is truly a unique and intimate venue. Unlike large city nightclubs, you will feel comfortable the minute you enter. 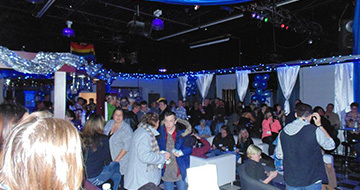 Club 717 has a long history of giving back to the community and a solid reputation as a “Safe Space”. Click our Events Page above for the latest activities and special events happening at Club 717. Club 717 has a long and prosperous history in Durham Region. Club 717 began 32 years ago and has grown substantially into the dynamic establishment you see today. Club 717 as it’s now known, is actually The Durham Alliance Association Social Club (DAASC). Club 717 / DAASC is a “Not for Profit Organization” providing a positive safe alternative community atmosphere where you can enjoy great music, reasonably priced drinks and make new friends. Whether you’re new to Oshawa or the Durham Region, or simply looking for an alternative to big city clubbing, you will always find Club 717 is the place to be east of the city. Club 717 is located Privately in South East Oshawa and offers a variety of services and entertainment. They are available through the week for private functions such as weddings, meetings and community fundraisers. Our hall rental fees are amongst the lowest anywhere and you’ll quickly learn we go above and beyond to make your experience one to remember. However, we are best known for our local talents and entertainment. Thursday is Pub Night, also known as “Thirsty Thursday’s” and “Games Night” by the regulars, where the LGBTQ Community with their Alternative Lifestyle friends and Allies gather to relax, socialize and enjoy Club 717’s low bar prices and atmosphere. Whether you’re just looking for a mid-week break or finishing your college homework, Thursday night doesn’t have to be boring. 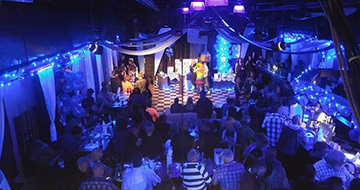 Friday Night’s feature our local Drag performances followed by an electrifying club atmosphere. Club 717 regularly surprises our Friday patrons with guest performances from some of the industry’s best-known performers. Saturday is our Dance and Special Function’s night. Saturday’s range from high energy dance music by our house DJ’s to group activities such as: Ladies Night, Men’s Night, Fetish Nights etc. Lastly, back by request is our Social Sunday. Sunday Social's are an excellent way to meet new friends, chat or just hang out. Not the typical Club night. 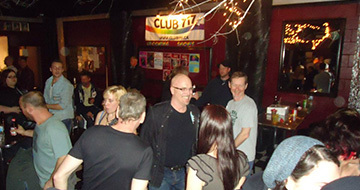 Club 717 regularly hosts fundraisers to support our community. Watch our activities calendar for details. The Board of Directors of Club 717 is a volunteer committee that is elected by our paid members to operate the establishment. The general staffing, DJ’s, bar staff are also volunteering and work hard so that their patrons have a great time. They do appreciate your tips for a job well done. The Board and Staff’s dedication / love for Club 717 / DAASC has resulted in Club 717 becoming one of the safest and most respected establishments in our area. To learn more on how you can become a Member of Club 717, book our venue or arrange for your charity to become associated with Club 717. Please contact our Board of Directors for more details.